Buying a motorhome warranty is all about, what is and is not being on cover. Motorhome warranties tend to cover mechanical component failure. So, as with motorhome insurance checking what is on cover is very important. Knowing what excess is being applied is also a factor, some excess amounts of up to the first £1,000 may apply. Voluntary excess taken out by the policyholder above £1,500 may make the premium less. Make sure, that you take a good look at any motorhome warranty quote. In addition, consider looking into RAC motorhome breakdown insurance as well. Another breakdown cover, well worth a look is green flag motorhome breakdown cover. 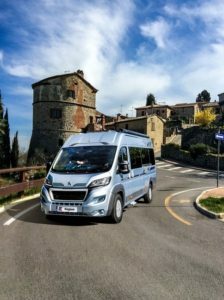 Whilst in the UK, a motorhome manufacturers warranty, usually has dealers on hand to repair a failure. However, when you are in Europe, that might be slightly different. So, well worth checking when your warranty expires. Also, how to make a claim when you are in Europe or beyond. In fact, some warranties, do extend to the actual breakdown cover, should a mechanical component fail. Especially, in making it not possible to move the motorhome. So, it is also worth seeing what AA motorhome breakdown cover will cost. Simple breakdown insurance, may save on things like recovery and roadside assistance costs. Especially, if you are travelling abroad! There is always an issue of getting home if your breakdown and finding accommodation. Motorhome warranty, is a lot about peace of mind. Knowing you have things covered is important, also, knowing the details and extent of the cover. Therefore, to ensure you are prepared if your motorhome develops a serious malfunction. Make sure any used motorhome or campervan you buy is on cover and you are able to make a claim. However, there is another side to motorhome warranties and that is the white goods cover. Make sure that you consider every aspect of this cover. White goods means domestic appliances and interior fixtures and fittings. For example, the actual fridge manufacturer may be liable should it fail. So, just what it says, it means most of the things found within a motorhome or campervan maybe have different covers on them. Especially, when new. From, fridges, freezers, kitchen appliances, hobs, ovens, grills all the electrical stuff sockets and switches etc. Showers and the plumbing, covers take in water tanks and also LPG tanks! Faults may occur in the winter months, when freezing temperatures take their toll. Yes, the main mechanical components, may fail and often do just that! Just when you least expect things to happen. Check the extent of winter effects cover and any clauses. However, who knows when the fridge or freezer is about to pack in or the boiler decides to stop working? The boy scout motto comes in handy “be prepared”! In fact, go a little further and be insured. Now taking out any form of insurance cover, the seller of the warranty has to be FCA (financial conduct authority) approved. So, we tend to find specialist warranty companies online all worth a look. In the UK mb&g motorhome warranty are a large warranty specialist. Online there are mb&g warranty reviews, are well worth reading up on. Also, the question often arises, who provides the best extended warranty cover? This is very debatable and that is where a comparison website is useful to go compare. Like all insurance, they are only as good as their claims management. Now no one wants to test the experience. Breaking down on a busy motorhome, does send those alarm bells ringing. As, motorhomes are not that easy to push to one side. But, we do suggest that you read 1 or 2, motorhome extended warranty reviews. Just to find out from the horse’s mouth, how the claims experience was and what to do! Many warranty companies provide extensions, to the main motorhome manufactures cover. The one thing that does always concern on older motorhomes, is the dreaded water ingress! Yes, older motorhomes are know to leak and that is where it is important to understand the cover in place. Some water ingress covers have limits on the claim costs. 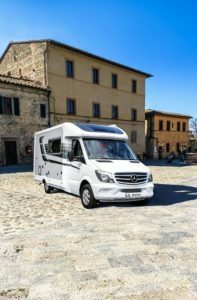 More motorhome warranty reviews and tips are on here. Most motorhome warranties, are subject to having the manufacturers service intervals being carried out. We will be able to help carry out any services to make your warranty valid. 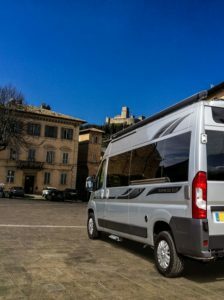 Also, we are able to sell you a warranty for a used motorhome or as an add on extension to the manufacturer’s warranty. All subject to normal terms and conditions. Here at Derby motorhomes we are fully FCA (financial conduct authority) approval. So, we will be happy to help you find the right warranty, for your motorhome or campervan.